"A Solar Trinity star system of 3 Sun stars are the records of human origins from the historical womb of the Egyptian Goddess Nut... A secret 'measured' on a special day of the pre-Christian 25th December Sol Invictus ref in this orientation on the horizon as the chalice of the Holy Grail ref in the area of the Pleiades and marked on the horizon with monuments and an encoded message"
Quite a bold opening statement that would by right demand a lot of evidence to back it. This image at the top of the page has 'everything' encoded in it and many more explanations that will be added to this article in the weeks to come. The Egyptian Goddess Nut will be explored at the bottom of this article. I have over 35 star maps found all over the world (see star map menu) and the Human Blueprint Code found in three of the main star maps repeating the same star area over and over and in each case defining each ancient culture's place of beginnings from this area in Taurus the Bull. Yes the ancients went way off track and became spiritually destructive and lost worshipping golden idols of a bull as the place of their origins as God, when they should have just remembered it with honour, not as God Creation but simply as their place of beginnings. My interpretation is based on my analysis of the recently publicised historical Freemason document, ‘The Hiram Key’ (seen above left). In this article it will be referred to as the: ‘Hiram Abif star map’. Over the past few years, Freemasons have come from all over the world, quite conspicuously one might add, to attend my pyramid star map talks. Some very interesting comments were made in private conversations that transpired after the talks. A number of people told me that they had always known that the stars my research focuses on are extremely important. They also admitted that they had never realised exactly why they were so important until now. Especially since it would seem that virtually all the ancient civilisations venerated these particular stars in some sort of a genesis theme. They commented that their once secret star depiction, which they refer to as their: “First Degree Tracing Board of the Key of Hiram” had recently become a publicly available historical document. After further discussion with me, my Masonic visitors expressed great interest that my claims were positive and not just another nonsensical conspiracy theory or attack on Freemasonry. However, given the parallels my research has with their document, I have been urged to be circumspect in how I present my own views. With this in mind, it must be stated at the outset that the opinions, views and interpretation expressed in this article are unequivocally my own and not those held by Freemasonry, unless referred to in the university link on this web page. I am not a Freemason and in the article that follows I have approached this sensitive document with the greatest of respect. “I’m not really sure about any of the negative conspiracy theories that have targeted Freemasonry as nothing has transpired that can be proved”. The premise of my theories as presented in my first book, ‘The Hidden Records’, is that there are only two Sun-like stars in the heavens (in the vicinity of the Pleiades) that I felt the ancients believed were very important. Both are stars that astronomers have already documented as being like our Sun and hence if there were planets in their vicinity with water, then life as we know would be quite probable there. It seemed that for the ancients, the one star was without doubt more important than the other. Perhaps directly linking to humanity’s grand arrival as colonists (which will be elaborated on in this article). Later in my research, it transpired that there was a third Sun-like star. This would have further concluded my correlation theory and given it a whole new twist. But for reasons that follow, I could not include the third Sun-like star and its significance, in my first book. Scholars have been quick to notice that my Egyptian, Stonehenge and Mars star maps have no star correlations for a critical monument found in the same place in all three. It is from this supposed omission that they conclude that my Pleiades correlation theory is inconclusive. Since the Freemasons have released a lot of their history to the world more recently, the moment has presented itself to show the missing detail and the truth will not be hidden any longer. It has been kept under wraps for too long and my publishers purposely chose to omit it from my book, ‘The Hidden Records’. Firstly because of its sensitivity at the time. It looked too similar to what is shown in the Freemason document that I will examine in this article. Nobody had dared to write about its meaning in any significant way, let alone publish it. Secondly, the inclusion of the extra star would further complicate an already complex story. In 2003, at the time when ‘The Hidden Records’ was being published, images intended for the book were deliberately cropped to hide the correlating monuments for the aforementioned third star. The objective was to make my star map easy to follow and supposedly appear different to what was being shown in the Freemason document. Now all the star map interpretation on this website include this thirs Sun star under the title Sol 3 Tertiary. Examine the image below set at a time on a computer star atlas at approximately 17 000 years ago. You will notice that at that very ancient epoch, three nearby Sun-like stars can be discerned in the positions shown. 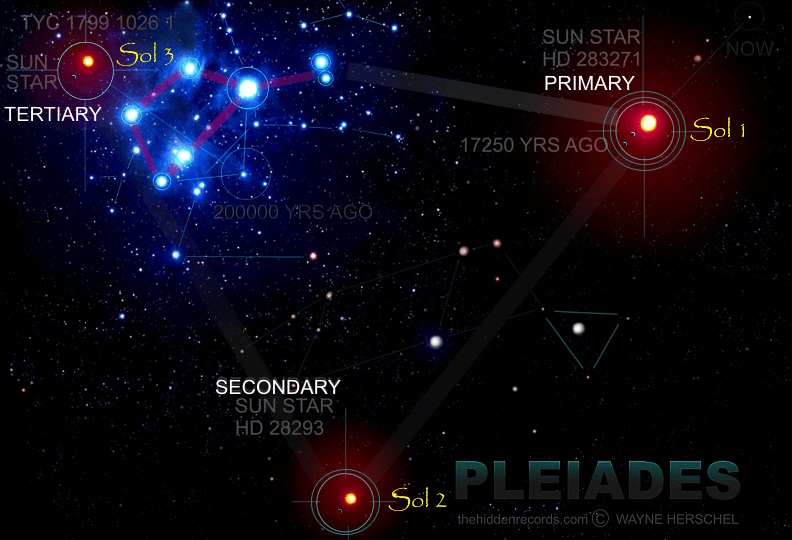 If one computes star positions with today’s date, strangely enough the Pleiades look the same as they did 17 000 years ago (little movement) but because these Sun-like stars are closer to us, their apparent movement vectors are much more dramatic and hence very measurable. (The Sun-like stars today are in slightly different positions). The ‘new’ Sun-like star (not incorporated in my book) can be seen in the image below. It is the first example in my research of an exact spectrum match to our Sun, a G2 spectrum. (The other two are G5 spectrums). TYC 1799 1026 1 ref and you can see where it was 200000 yrs ago. It becomes evident from the astronomical illustration above that there are three measurable Sun-like stars that conclusively match the ancient star maps that are integral to my research. Star maps associated with records of ancient visitors who came from above. With three ‘targets’ having been identified, they hold enormous potential for the research being conducted by SETI (Search for Extra Terrestrial Intelligence). All SETI needs to do is to aim their largest radio telescopes at these stars and listen for something in the common radio spectrum that is a little more than just natural static. However, SETI believes that aliens will be motivated to send a message to Earth of their own accord. The organisation also believes that such a message will tend to come through on a less common, quieter radio frequency and hence SETI listens on this frequency. In response to my proposal, Seth Shostak – one of SETI’s head researchers – commented in an email to me in 2005 that they are scientists and not interested in theories like this when considering targeting Sun-like stars. To date, these potential stars that seem to suggest the possibility of life as we know it, apparently have NEVER been targeted. Very little is known about where he acquired his legendary secret. A secret that would inspire the beginnings of Freemasonry. Hiram Abif was murdered, as history has recorded it, for not sharing it. One would assume his killers acquired this ‘star map’ document from his possession without knowing its exact meaning. 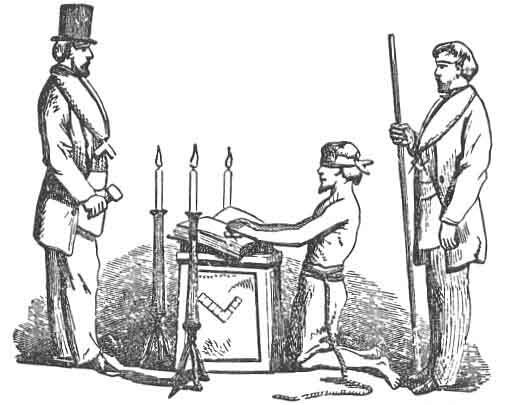 Freemason lodges across the globe have now published many variations of its symbolism. The ‘star map’ undoubtedly qualifies as the most important piece of Freemasonry history (see below). A number of books have recently published research on the origins of Freemasonry. One specific book that came out in 2005, ‘The Arcana of Freemasonry’ was written by a top Mason, Albert Churchward. This author uses the ‘Hiram Abif star map’ on the cover of his book and refers to it as: “The First Degree Tracing Board of Freemasonry”. Why do I refer to this symbolic depiction as a ‘star map’? The image above clearly has seven stars that look similar to the Pleiades cluster. If viewing the image above as a window looking out at the horizon, it would place the viewer or initiate (standing in the position of West) looking at the sky above the horizon in the direction of East. The image portrays a night sky because the seven stars can be seen, as well as the star with a ladder coming down from it referred to in Freemasonry as the “Blazing Star”. There are openings in what looks like mist that appear to accommodate three important heavenly objects. Many have thought the two topmost heavenly objects represent the Sun and the Moon as they pass this area of the night sky near the Pleiades on the ecliptic. But a much more conclusive solution is now at hand. The three heavenly objects are similar looking to one another and all look like Suns. They are obviously special in a very mysterious way. I have found correlations for all of them as Sun-like stars, as suggested in the astronomical “UPDATE JULY 2007” image if you scroll back up. The image above offers more on my interpretation of the ‘Hiram Abif star map’. It highlights all the components and potentially what they could mean. I am convinced the chequered tiles on the floor represent time. Each tile appears to symbolise 20 000 years of time. I propose the chronology match for the pillar at the centre by measuring the time required for the “Blazing Star” to move so it would fit as a perfect match to where it is located in the Cydonia star map in my book. It is also shown in the identical position in the ‘Hiram Abif star map’. (See the Mars page on this website for more reasoning). Once I had figured that out, I could find timeframe matches for the remaining two stars which coincidently also generally agreed with modern fossil records of modern humans. In the foreground, the initiate/viewer (not in picture) stands at the beginnings of the Homo Sapien-Sapien genus on Earth, looking towards the horizon and the sky in the East, which represents the “now”. The secret to deciphering the pillars and the ladder in the ‘Hiram Abif star map’ is found in texts associated with ‘The Hiram Key’ (see university link). There is very little doubt from this dissertation that the ladder coming down from heaven originates from the biblical Genesis text, as does the pillar. In Genesis Chapter 28 verse 12, Jacob is shown a ladder reaching down from the heavens. Jacob, while witnessing this detailed vision, is then told that humanity was literally given this world. The text associated with ‘The Hiram Key’ posted on the university website mentions it is Jacob’s ladder that is being depicted. Jacob then celebrated where the ladder touched the ground by building a pillar at the actual site. For me the three pillars seen in the ‘Hiram Abif star map’ were particularly intriguing. On closer examination of their possible meaning, I was convinced that in the context of my existing theories they could be celebrating three separate ‘visitation’ events. The visitation of Earth by our human ancestors after colonising three different star systems at three different epochs. It is therefore highly likely that these people who had remarkably advanced technology are the references to “angels” we read about in our holy books. Beings, who were clad in bright clothing, and who could fly and perform great ‘miracles’. I interpret the largest pillar (on the left) as a commemorative ‘Genesis’ monument as it were, celebrating the discovery of our solar system by the first space travelling human beings. An epoch apparently dating back 200 000 years ago matching the first consistent collection of modern human fossil remains found. I believe our ancient star ancestor visitors most likely set up a very small number of experimental penal colonies on Earth. History has indeed found people to be living primitively as hunters and gatherers at this epoch. 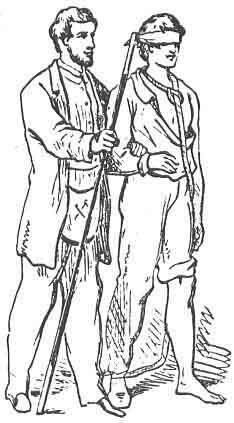 (The penal colony theory is explored in my book, ‘The Hidden Records’. I base this theory around the fact that Mars once had oceans and an atmosphere. I am convinced Mars was inhabitable up until 10 000 years ago when a meteor impact destroyed it. In its time it would have been the ‘jewel’ of our solar system, more conducive to human colonisation than Earth. Earth is far from being a perfect planet. In reality it is a little too close to the Sun and it is fact that all human beings struggle with the intense solar radiation it is subjected to. Secondly, Earth’s gravity is tough on our thin-walled porous bones and poor muscle connections when compared to every ape and every hominid in history. Earth would therefore have been less favourable than Mars for colonisation). The aforementioned pillar is not embossed with any ornate carvings, unlike the others. This seems to symbolise the simplicity of humanity’s beginnings on Earth. The pillar aligns with the star to the left. This is the star, which I decode in my Cydonia star map in the book and website, as the star of humanity’s origins. A star of humanity’s evolutional beginnings. A place where our human ancestors appear to have evolved up until the point of having developed the technology to space travel. In summary, they would have been the people who discovered our solar system. The pillar on the right aligns with the star above it as the ‘new’ star, TYC 1799 1026 1 (see “Update July 2007” image). This star is in this position close to 100 000 years ago, and most likely represents another star system colonised by our advanced human ancestors next in line in the timeframe. The pillar therefore seems to be celebrating another visitation to Earth by human star travellers from this star system in this epoch. They too seem to have had an interest in planet Earth, perhaps once again only as a penal colony since Mars would still have been the jewel of our solar system at the time. Again, human fossil records from that epoch still show no sign of any technology. The carving on this pillar is slightly more ornate suggesting it is next in sequence and more recent than the epoch measured by the first pillar. For me, the pillar in the centre is the most important pillar. It is closest to this star and therefore represents this, the most important star, the “Blazing star”. It is located near the horizon at the foot of the ladder fitting along a timeline around 17 000 years ago, and tallies exactly with my key star correlation in my book ‘The Hidden Records’. I propose this star as the one that is celebrated the most by Earth’s diverse civilisations. The pillar seems to represent the beginnings of a mass arrival here in our star system that originated from the “Blazing Star”. It is this pillar that is synonymous with Jacob’s pillar from the biblical Genesis texts. It is embellished with the most intricate carvings, which suggests it is the most recent event of the three-pillar sequence. Fossil records and historical texts and murals suggest that visitors that came from the sky were abundant from this moment forward. What is more, ancient building techniques from this period show a lost technology that is impossible to duplicate today. I suggest that their arrival here on Earth could have been a full-scale invasion of this planet, replacing the last Earth hominid… the Neanderthal. Notice what happens if one overlays the two seals on the one-dollar bill to form the combination as seen in the image below. The three stars become visible around the capstone, matching the ‘Hiram Abif star map’ triangulation of the three important astronomically catalogued Sun-like stars. The overlay combination also forms a shape resembling the star of David with the all-seeing eye of God at its centre. The pyramid on the ground is located below the inverted triangle formed by the stars in the sky, as if it were symbolising "as above so below". This strongly suggests that the pyramid starmap theory of my book is a reality. The primary clue that led to interpreting the seal in this way is inspired by the matching blazing light themes on the two seals. 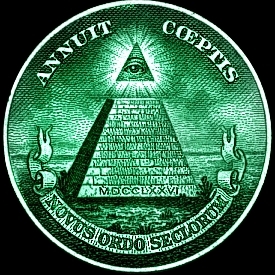 It seems to suggest an enlightening secret: The connection between the capstone with all-seeing eye and a geometric pattern of stars blazing with an inner triangle of stars portrayed with a similar template to the capstone. The pyramid capstone was thus repositioned carefully over the counterpart star shape and this is the result here. The letters m-a-s-o-n are also formed by the eagles wing tips, feet and tail only when an exact seal overlay is positioned. A lot more is revealed in this seal later. If one were to merge together the two triangles in the ‘Hiram Abif star map’ (very faint grey lines) formed by the hourglass shape geometry, it also symbolises "as above so below". Also, notice that the star of David is formed (see the reproduced image below). 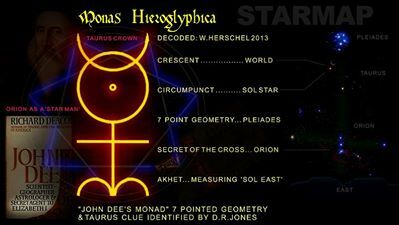 This symbol is thought by many to trace back to the Seal of Solomon. The Judaic sacred symbol for the star of David (according to Wikipedia) represents the sacred number seven. A six pointed star with its larger hexagonal centre representing seven. Their Menorah, or sacred oil lamp, also celebrates the sacred number with seven burning flames. One has to wonder if there is deliberate symbolism here. It is interesting too that a star icon is being formed when the two triangles merge to form the ‘star’ of David. Could it be representing one single important star in the heavens, the “Blazing Star”, while encrypted in it is the record of seven other nearby sacred stars… the Pleiades? In the ‘Hiram Abif star map’ the key placed on the ladder may well symbolise Hiram’s key to the secret he was privy to, perhaps even the ‘key’ to deciphering the secret star map theory that he alone held. I have proposed that St Peter also protected the same secret knowledge and in statues it is the key he holds in his hand while pointing to something important at the Vatican. For the secret layout design of Vatican City and the key of St Peter Click here. More recently, there has been considerable publicity surrounding another secret that will follow on from ‘The Da Vinci Code’ epic and it will be exposed in the latest novel that Dan Brown is currently writing about. Its title is already listed at Amazon as: ‘The Solomon Key.’ Is this the same enigmatic ‘key’ to unlocking the same cosmic secret? 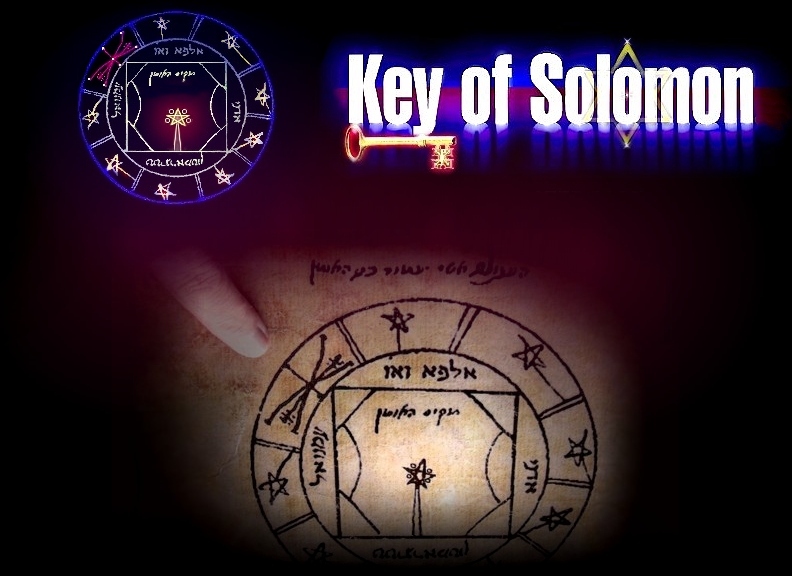 After all, King Solomon is important to Freemasonry and the legendary seal of Solomon appears to have a lot to do with the key of Solomon, another mystery that has not yet been solved. In the link below take a close look at the all the historical and secret manuscript references there are on the seal and the key of King Solomon. For the key and seal of Solomon Click here. 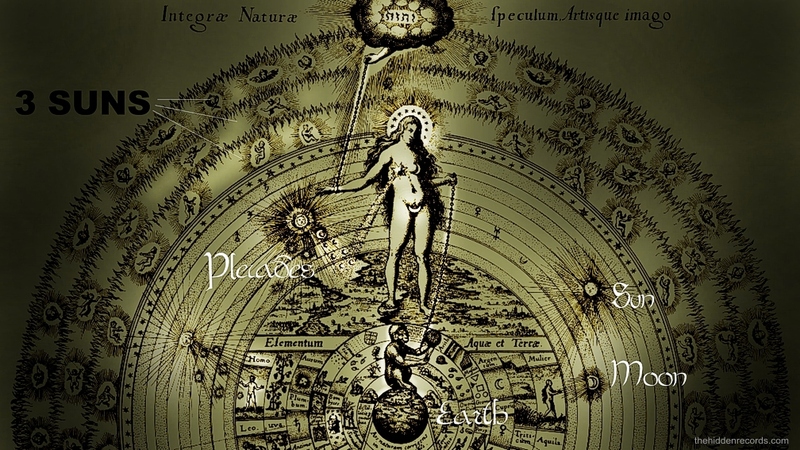 If you scroll back up to the ‘Hiram Abif star map’, notice the ‘celestial’ hand reaching down from the “Blazing Star” holding the symbol representing the Holy Grail. 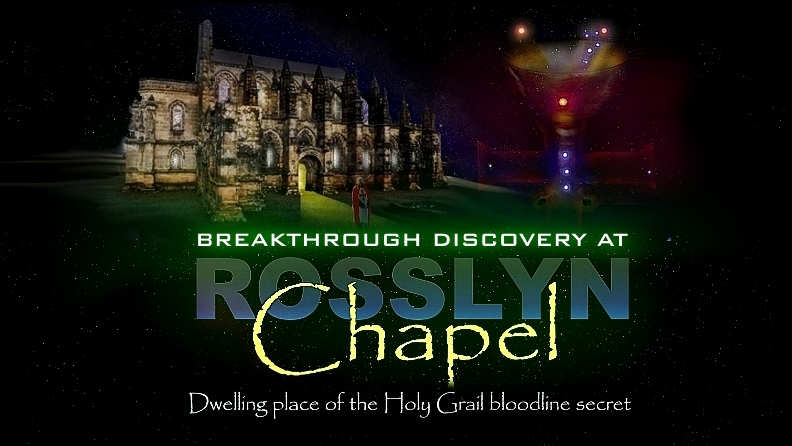 For more on my theory on how the Grail fits into this story Click here. The hand from the heavens, from the “Blazing Star” as it were, and the symbolic icon for the Grail would suggest that this invaluable star knowledge of human ancestry somehow forms part of the Christ story. If my theory is real, then one must wonder: If humanity comes from somewhere else in this universe, then surely Christ would have tried to leave a record of it. I am certain that remnants of this star knowledge are traceable in the Gospels of Matthew and Judas. 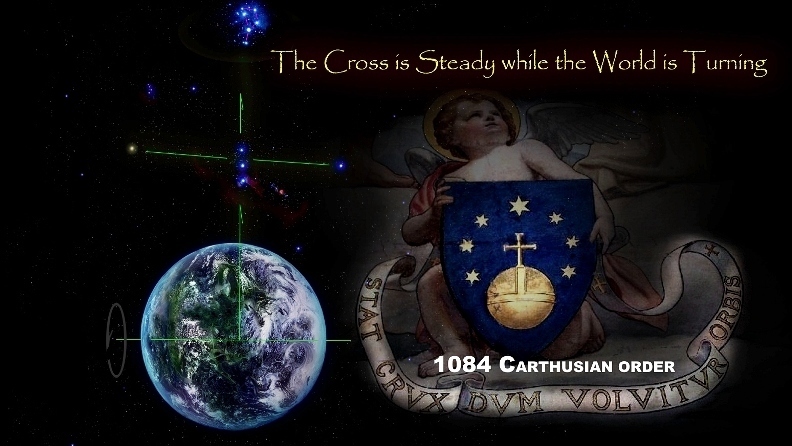 BEHOLD… THE THREE ASTRONOMICAL ONES… THAT ONE FOLLOWS FROM THE EAST… TO FIND THE STAR OF CHRIST. It reads as a star map rather than the interpretation of the three kings from the East looking for a star hovering above the birth site of Christ. The problem with the traditional interpretation is: How can a star be located so low in the night sky that one would be able to follow it? For more see the star animation at the top of the home page then Click here. Another biblical story that holds an important clue is the recent discovery of the ancient codex of the Gospel of Judas Iscariot. In it Christ tells Judas that: “This star is also your star.” It seems likely that this was the perfect time to explain that we are all of the same ‘Divine seed’ as he was Click here. There might be representation of the secret ‘art’ of stone masonry represented by the uncut stone and hammer you see on the bottom right of the ‘Hiram Abif star map’ (see below) and the cut stone at the centre. If we go back to the biblical texts, Solomon’s Temple was built by cutting colossal stone blocks without making a sound. It is also worth mentioning that Dan Brown’s ‘The Da Vinci Code’ was quite convinced of a real mystery behind an inverted pyramid over a standing pyramid in the Louvre. This inversion forms an hourglass shape very similar to Orion, or the symbol for "as above so below". Note also in the ‘Hiram Abif star map’ (below) it completes a shape around the ladder, possibly symbolising a pyramid on the ground correlating with stars (My complete pyramid/star map theory). The lines forming the edges of the pyramid also match the pyramid slope angles on the one-dollar bill. The next important question inevitably has to be: Could this secret have its origins in ancient Egypt? The most significant conclusion that I derive from the ‘Hiram Abif star map’ is how accurately this ‘star map’ fits my pyramid star map theory. But to be more specific, how the ‘Hiram Abif star map’ correlates with the night sky of ancient Egypt. The stars as they appear on the Eastern horizon in Egypt are identical to how the stars appear on the ‘Hiram Abif star map’. The orientation of the Pleiades stars is exact! If you page through the early chapters of ‘The Hidden Records’, you will notice that the premise of my research is the secret of the Sphinx. It literally beckons us to interpret all the pyramids as stars. Every night it watches these stars rise on the horizon in the East. Which comes as no surprise, because the Egyptians celebrated the stars specifically when they rise on the horizon, in the East! It is this secret of the Sphinx that led me to determine that all 50 or so pyramids of Lower Egypt represent a complete ring… a 360 degree circuit of constellations around the Earth that correlated with pyramids on the ground. The whole pyramid field had at its centre a gold-capped obelisk near Abusir that represented the “Blazing star”. Click here. But there is even more to the secret of the Sphinx. Not only does it beckon us to interpret all the stars as pyramids by watching them rise in the East every night. It is watching the rising of the ultimate star of Ra, near the Pleiades constellation, above the horizon in the East… something completely measurable. This unique Pleiades interpretation and the blazing star are recorded at two other famous Egyptian sites: In the Senmut tomb and on the Zodiac disc at the Temple of Hathor at Dendera. The unique star orientation of the Pleiades was something I felt compelled to test on a computer star programme. What would the Pleiades constellation look like, when it rises in the Northern Hemisphere above the Eastern horizon? The pattern in the sky matched the ‘Hiram Abif star map’ exactly! Here was groundbreaking evidence that both star maps had their origins in the same knowledge base. On the advice of my publisher I did not include this material since it was derived from such a sensitive source at the time. Testing the star positions on the horizon in Egypt is very straightforward. Any star program can do this. The fact is that these stars always rise in the East in this general orientation everywhere in the Northern Hemisphere. I wondered what the scenario would be when the star of Ra rises precisely in the East and how far back in time this could be measured. If you have a star program, try this quick experiment: What we want to prove is the orientation of the Pleiades when the “Blazing star”, rises on the horizon perfectly positioned due East. Simply type in this date and time with Egypt as your location: 7.30pm 14th September 3000 BC. It appears exactly like the Egyptian image above. One astronomer has already pointed out to me that this exact orientation of the Pleiades rising perfectly in the East occurs over and again at many different earlier epochs. This means that it is unlikely one can use this star pattern occurrence as a way to date the beginnings of Egyptian civilisation. 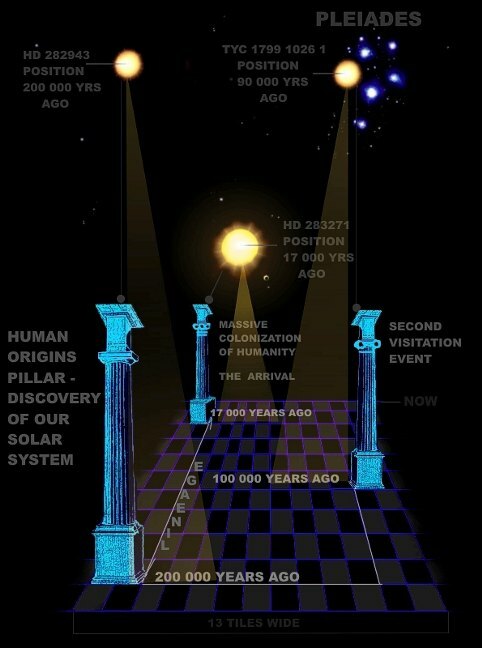 However, there are now three Sun-like star positions that can be used to measure our civilisation’s chronology. I already showed two of them in my work. Now that a third has entered the arena it offers even more to test my theory. The newly discovered Sun-like-star in the earlier astronomical image “UPDATE JULY 2007” displays a correlation pattern that appears to match the Egypt, Stonehenge and Mars pyramid star maps I proposed, when the sky appears as it did around 17 000 years ago (as seen in the layout images of various ancient sites at the end of this article). BUT there is more. Take another look at the ‘new’ star depicted in the ‘Hiram Abif star map’: It is shown in a position to the left of the Pleiades. The star has a movement path that surprisingly heads into this position interpretation… only when going back in time 90 000 years ago! Surely this has to be an indicator of another important epoch in time, perhaps suggesting the proposed second arrival event date of people just like us from another star system. This begs the question: Are we looking at the human genus from one particular star system colonising Earth (but at different epochs), or are we dealing with human species from different star systems, but who have evolved independently and virtually identical to us? It is quite possible our omnipotent Creator of the universe has created the human form with a universal design code, if we are to believe that we, the human being are the perfect creation, as our holy books insist. If one believes in God one would assume that the human form would be abundant throughout the vast universe if there were other worlds out there. The human form would therefore be a creature evolving over vast periods of time within this specific self-diagnostic evolutional design code to become compatible with its own planetary conditions (where water is found abundantly as a liquid). Egyptian themes and this ancient civilisation’s knowledge are openly recognised and celebrated in Freemasonry. For example, as many already know: On the one-dollar bill. 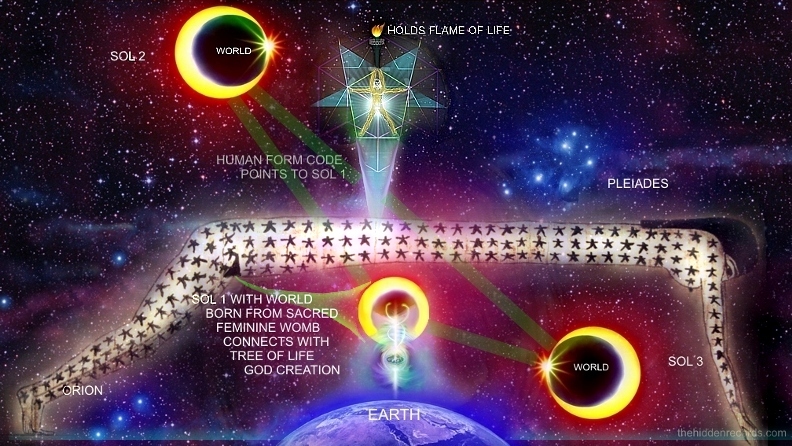 In the ‘Hiram Abif star map’ the hieroglyph for the star of Ra is clearly depicted on the altar/crypt at the bottom of the beam of light/ladder coming down from the blazing seven-pointed star. The hieroglyph is a dot with a circle around it. (Compare this to the Egyptian Senmut tomb depiction below). I believe the seven-pointed star in the ‘Hiram Abif star map’ celebrates its close proximity in the sky to the seven stars of the Pleiades. 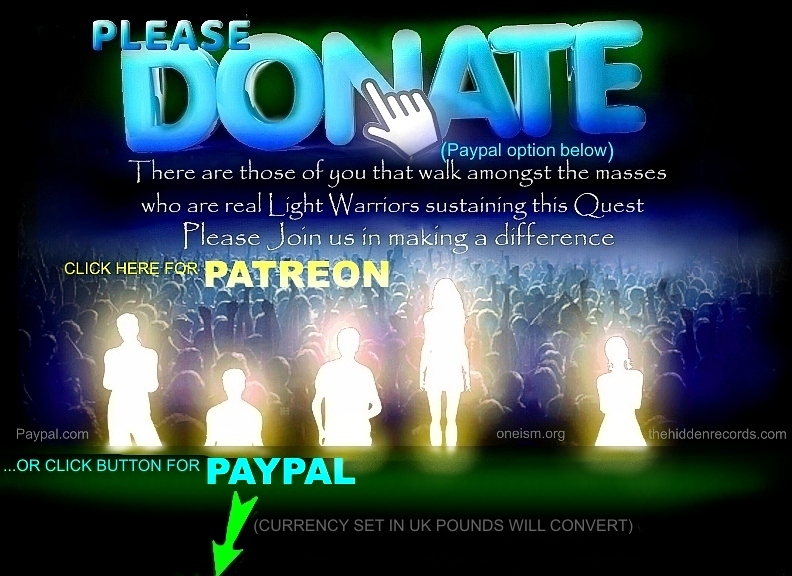 I also believe there could be a connection here to the origin of the seven points of light seen on the statue of Liberty in the USA and in some renditions of the god Apollo and Christ himself. Over the ages many esoteric or illuminated works have been destroyed for showing material the historical monarchy did not want commoner to see. Some works however were seen as safe if written by monarchy-accepted noble high society and presented with a lot of encoded complicated symbols and kept in elite libraries for elite family. They were called ''illuminated manuscripts'' or ''gnosis'' manuscripts. But as kingdom leaders changed so did opinions. Often the libraries had copies go missing and were secretly reprinted and it caused a storm. Some say there were early Biblical editions that showed too much that had to be burned too. The books were removed and burned in public with heretics found with the works as a warning to all to refrain from these forbidden topics that might threaten monarchy control over its people. It is important we try track down one of these forbidden editions or at least one with a matching 'X' cover. The image above is of the 'Illuminated' Hartmann Schedel Nuremberg Chronicle 1493 XCIIV. Here is record of burning bibles that correctly depicted the Solar Trinity with Holy Grail that I have proposed a solution for ref . The source link here for the manuscript ref the image link here ref . 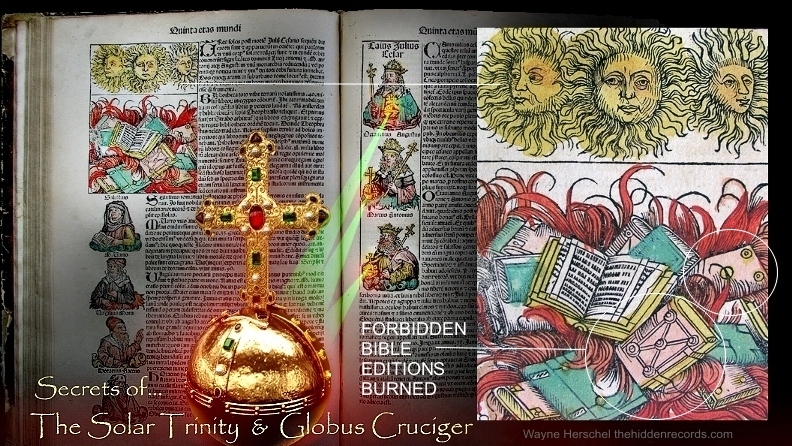 Notice how one book cover being burned has the solar trinity triangulation pattern in place of a cross? ...while the world is turning. Mouse over the image to see the second example of the quote as evidence for this. Click the image to see the article. In the previous image showing the burning of forbidden bible editions, there are also books with the Chi-Rho X cross pattern ref for specific reasons was also a victim of fire. This 1892 King James 'Parallel' Bible edition published by A.J Holman of Conroy and Crotty Minneapolis ref famous in publishing Masonic bibles ref shown below has one of those special covers with an hourglass 'X' pattern which I want to illustrate I believe has an Orion constellation encoded onto its cover. Special thanks to Sara Markis for giving me this rare antique treasure. Compare the constellation from the previous image to the Bible cover image below. The Belt of Orion is a big give away too. It even has a small round marker on the left Belt star position to show which direction alignment one must follow to find the Pleiades! Some say it is a 'Masonic bible'. In the image below I will show in a mouse over action all its clear detail why it appears masonic. I will highlight a full decoded cover with the star map detail, 3 Suns, and what I believe are the 3 monarchy crown and vine 'heaven gates' for the 3 suns. It has so much detail, including showing conduits in the Egyptian blosoming flower symbolism adopted by churches as well. Green highlighted content are the encoded ivy cosmic conduits. Is it really a Masonic Bible? In contradiction to the Masonic claim, it was available to the public as a general family Bible at the time. Perhaps before considering if it is or not, maybe one needs to know a little about King James himself for all the King James editions. Was he a member of some sort of secret order? Should it make any difference if he was or was not a Freemason? Here is an article that covers his ties with Freemasonary, written by a Freemason ref . Personally I do not think the masonic influence and presentation of the works is any different to the influence in composition content that most holy books have endured by other religions by their 'powers that be'. Many in the USA, (just like the Lakota tribe) believed it was the time for the expected 'return' of the Messiah ref . Firstly, that 'they' (the powers that be, the elite, might not even be masonic people here) might not have always felt the star map was important for public eyes but have never tried to completely hide any cosmic truths from people, look at the cover of this Bible. The complex star map interpretation which they were not even absolutely sure of its meaning would have been far too sensitive and risky in terms of blasphemy to try and bring forward to the masses without proof during the 1800's. Secondly, the elite would hold the potential to make the claim this Bible edition here had 'prophetic' and important symbols star imagery shown as sacred and the Bible should stand as more important and be followed above all other religions on Earth. In fact I show how obvious you can measure how ALL of the 'Big Four' religions measured by number of followers appear to carry a part of the star map as their icons so they all seem to be doing the same 'partial showing' of it for similar reasons ref . They probably thought carefully if there was no cosmic messenger event for the year 1900, the star map symbolism published on the cover was encoded in such a way the masses would still not think too much of its controversial meaning. The masses without this knowledge of their heavenly bloodline origins would continue not knowing who they they are, and therefore where they are going and easy to manipulate by 'the powers that be'. They would not learn all humanity are as a sacred human bloodline where all are equal. The 1892 Parallel Bible edition I believe shows not just a complete Orion explanation for the cross of the churches, but the masonic depictions and symbols I believe show how one needs to follow Orion's Belt to the star cluster. Some say it is an original monarchy emblem for their definition and symbolism of world order over 'their' commoner population. A queen bee has dominion over its hive and dedicated worker bees. The bees could be symbolic representation of commoner. Their only purpose in life is to be obedient and work. Mouse over the image above to see the encoded detail. The binder has massive all seeing eye theme at the top above the Parallel Bible title. 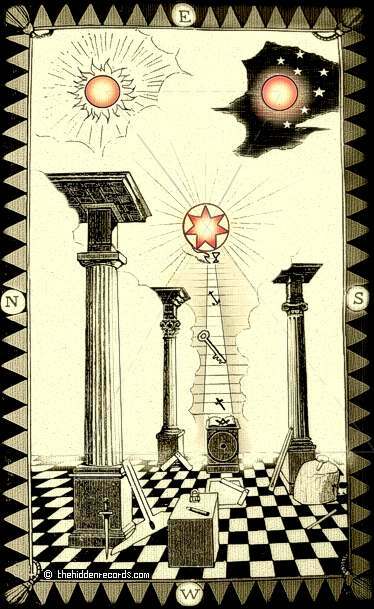 Inserted into the themes are primary masonic symbols which the image highlights including dividers, square, plumb level, and trowel. Top left theme, the person with 33 degree dividers (to measure arc degree distance from Orion's Belt to the primary Sun star ref ) the fallen pillar, urn and olive branch ref . 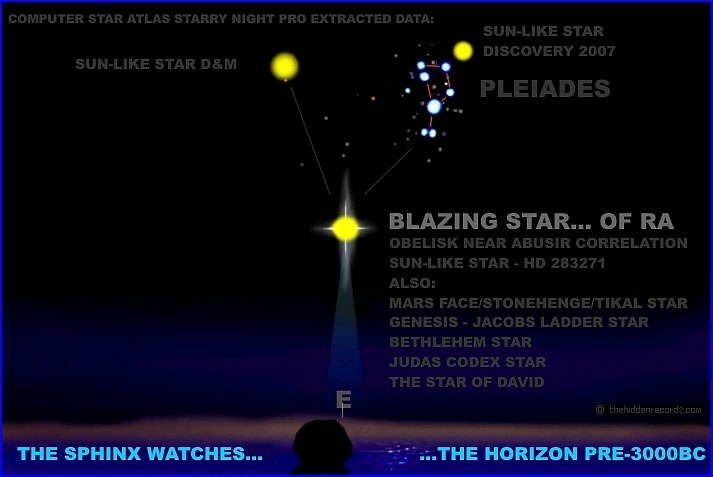 Bottom left theme star cluster and Jacobs ladder as discussed with trowel and 3 pyramids in a row (like Giza) aligning with the Pleiades . Base left theme, the Rosicrucian hive symbolism of monarchy promoting obedient commoners and crown and ivy conduit as discussed. Base right theme, all seeing eye of God with sacred book on altar, crown cosmic portal with ivy cosmic wormhole ref . Bottom right theme by lower clasp: Noah's Ark, dove and branch perhaps added just to verify the flood cataclysm event of the northern hemisphere and Ark ship was real. But under the top right upper clasp is where the biggest masonic record lies. The theme has a design border with pointer pointing to Jacobs ladder. They are connected. This hidden theme in context with the top center Trinity theme and Jacobs ladder theme completes the full detial found in the First Degree of Freemasonry star map seen below. The revealing detail defining for me this is no ordinary Bible is depiction of what is beneath the clasp. Without destroying the Bible to see the information simply flip over the Bible and look for it on the rear cover where the clasps do not cover it. In my graphic I have rendered the detail precisely and made the clasp partially transparent. But the greatest historic masonic symbolism for me researching ancient rites is the Orion's Belt personification of the initiate. Notice the large star as the center of Orion's Belt on the 1892 Bible cover seen before the last image. The initiate is the star. I am sure he personifies one of the Belt stars. 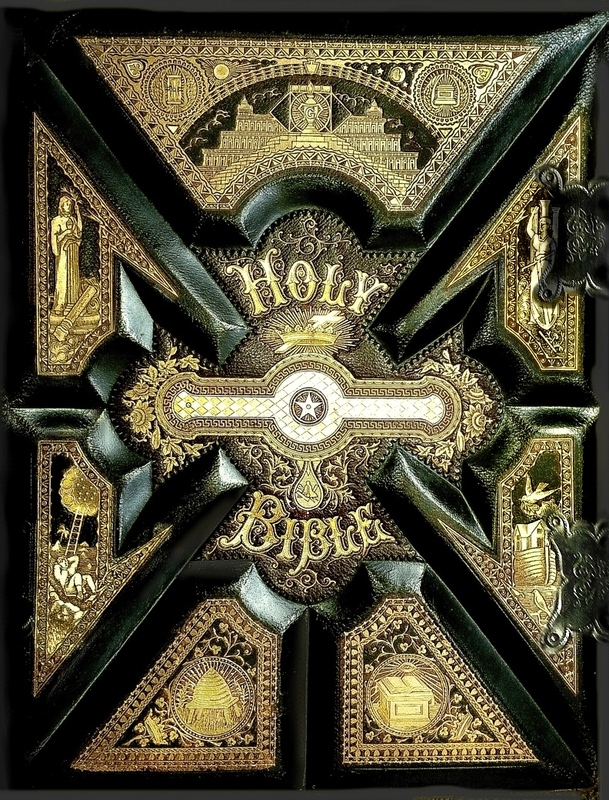 Below this particular initiate star on the Bible cover depicts also a symbolic heavenly bloodline from the cosmic womb of the heavens and in the droplet are 3 masonic symbols. The frog symbol in these links is another story. But in short it seem frogs that we find common are not quite Earth evolved either. The frog symbol might be for those of a secret sect in France who once knew the real human origin secret. This Biblical symbolism I present as theory might anger many Freemasons reading my work. But rest assured, this old ritual shows something human uplifting, once learning we are ALL of a SACRED heavenly bloodline and nothing sinister at all. This interpretation is my theory based on research since the ancients personified the stars in all their teachings. It was the old way. 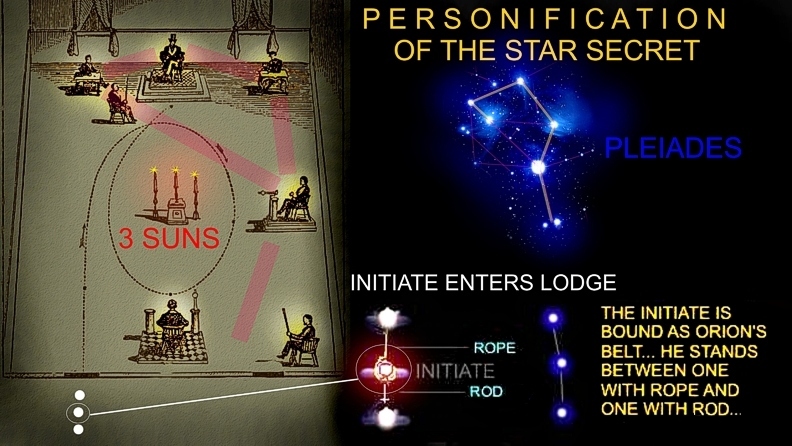 The large stars as the center star of Orion's Belt is most likely the initiate blindfolded as he enters southern door of the lodge led with a rope binding him to the 'star' in front of him. Another member has a rod behind his back binding the initiate to the 'star' behind him to personify I believe the 3 in a row formation ref . He then walks around the 3 candles or 3 pillars representing the 3 suns while passing the important lodge members who seem to be personifying the Pleiades. To me this symbolises the 3 in a row Orion's Belt rising on the horizon as it aligns to the 3 sun star positions near the Pleiades. Mouse over the image to see the correlation. Washington DC is built on a chosen site with Seven hills just like Rome believed was sacred as it literally appears to be a site chosen 'by God' to mirror the seven stars in the heavens ref . The Leg of the Bull symbol for Pleiades layout of Rosslyn Arlington discoved as a Pleiades constellation symbol in Egypt ref 1 and Jerusalem ref 2 is clear in this reference link ref 3 . The layout plan and complete meaning of the city of Washington DC is one that George Washington most likely took with him to his grave. A secret that he ingeniously recorded in an encoded Masonic painting explaining the meaning of the layout of his new city that would be built and the positions of all the secret symbolic monuments - Washington DC. There is a link to the painting and the full story here ref. 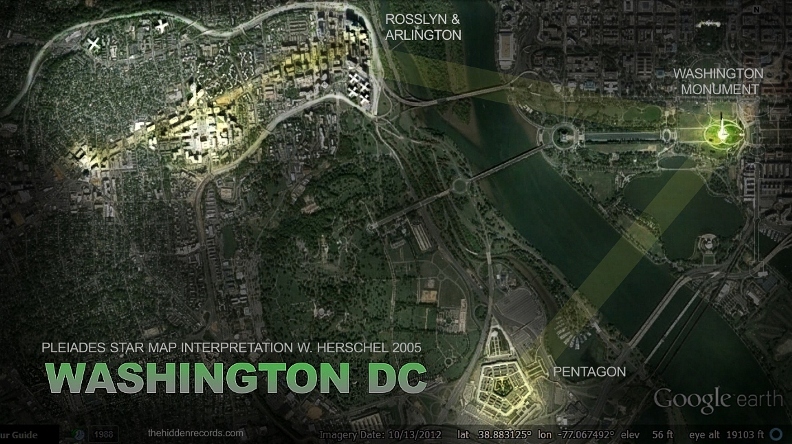 This Washington DC city layout full analysis and comparitive detail follows. 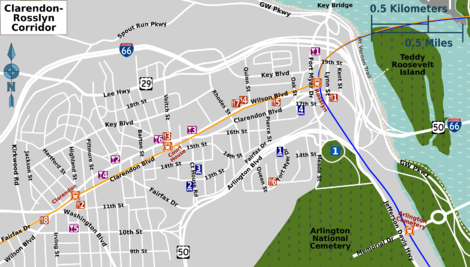 The leg of the bull defines the area and the very active bright route at night through its center (illuminated with yellow hue in link image) called the Clarendon Rosslyn Corridor ref . The leg of the bull follows alignment in its design perhaps in its original sacred knowledge depiction to enhance its cosmic alignment importance as a star spangled leg constellation in the sky to locate the 'x' that marks the spot ancestor sun star. We have seen some very substantial evidence in Egypt of definitive parallels between what the ancient Egyptians knew about the stars, and a mysterious piece of American history in the Hiram Abif star map. Both must have been privy to the exact same knowledge. They both seemed to be aware of Sun-like stars that were integral to the story of their past. But this is not where it ends. If we put the star map theory with the extra sun-like star to the test in other civilisations the unthinkable emerges. 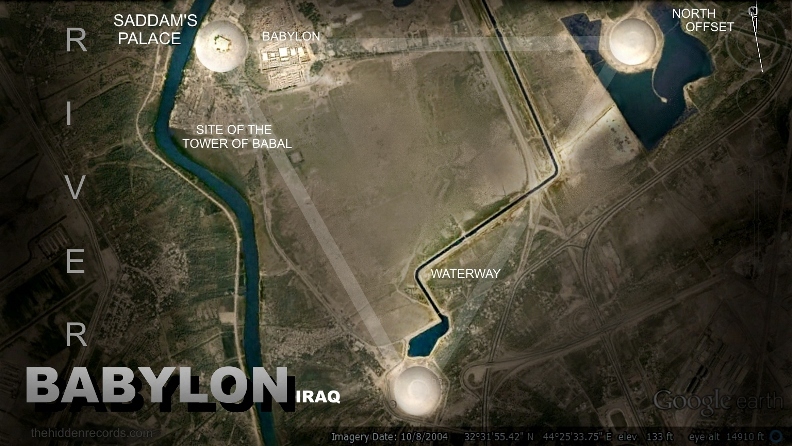 This old Babylon can now be compared with the 'New Babylon' Dubai star map ref and how it connects to secrets of the Monarchy and the prophecy of the Beast. 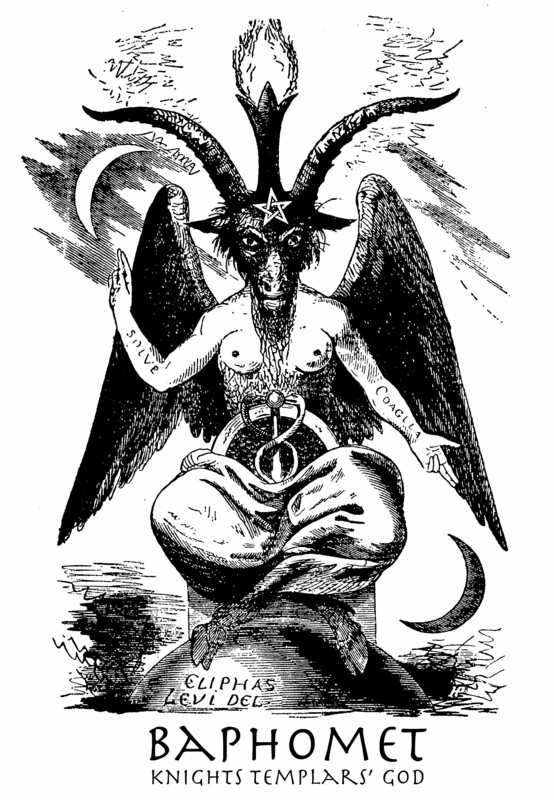 She has been demonised since her first encoded rendition firstly appeared to be adjusted and encoded with a goat head... ref perhaps after monarchy deemed these secrets as not for commoners eyes. The cost of having such a manuscript with a horned bull of Taurus and the horned goat were instructed to be catagorised as demonic writings of the devil and a heresy charge death sentence. Her origins were part of the Templar collections of secrets before they as some scholars say, changed their name to the fraternities of the Freemasons and the Rosicrucians. Firstly her head I rendered here obviously incorporated the precise human blueprint code geometry ref . found in the other star maps that creates this goat head shape. It teaches of the suns she points to as part of the human genesis mystery. 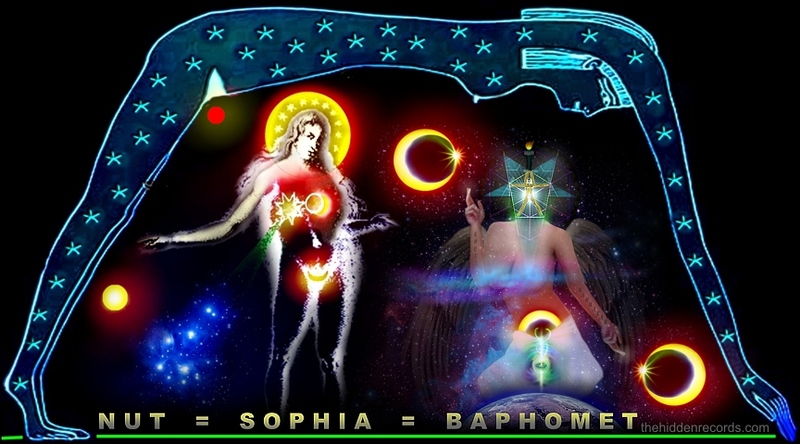 Although her origins appear Egyptian scholars follow her evolution from the Goddess Sophia sacred feminine origins through the works of Joseph Freiherr von Hammer-Purgstall ref . 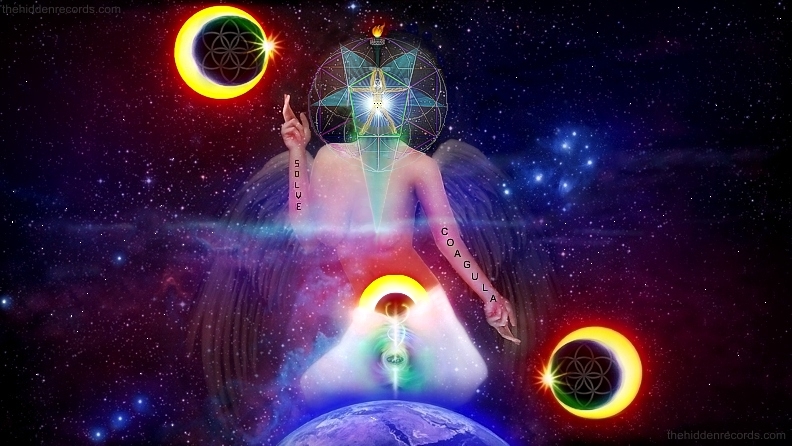 The link here also shows human geometry remnants as well as the interpretation of multiple cosmic bodies ref . The image below compares her Egyptian Goddess Nut origins which I show in my new discovery with her on a papyrus that actually shows a flying disc came down from her to Earth ref . 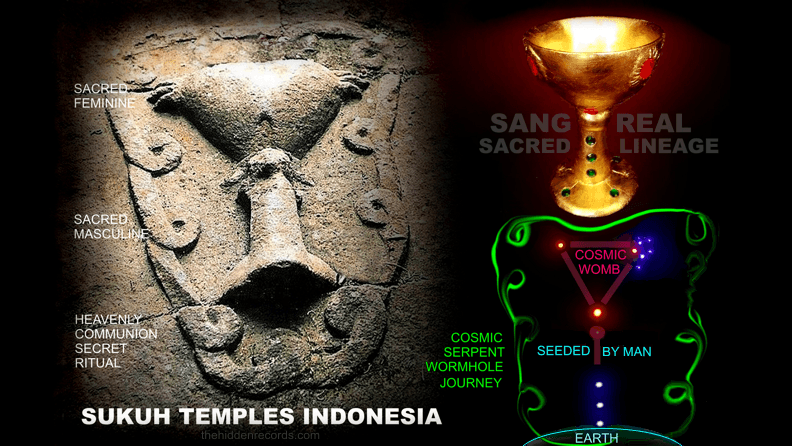 Mouse over the image to see the Egyptian sacred feminine origins and womb connection to Sol 1 Primary. Futhermore, she carries a powerful exta clue... twice. She uses hand symbols as depicted in all the Christ records ref using three fingers as she gestures looking for the 3 suns as a Solar Trinity. The most importand Sun birthing from her womb in Egyptian tradition with Goddess Nut. The Sun in birthing position also has God Creation tree of Life Caduceus symbolism as covered here ref . Mouse over the image below to compare Egyptian tradition with the actual cosmic bodies in question as a Solar Trinity. Full article on the solar Trinity historical evidence here ref . The Suns are all depicted with their own exoplanet and they are stars the Egyptians called the cosmic womb of Goddess Nut. They are Latin words for 'Join' and 'separate'. Now in context pointing to the two other stars of Sol 2 and Sol 3 she is asking you if you consider importance to choose to incude or ignore either of these two sun systems. Why? Perhaps there is only one reasonable difference if many races of humanity come from here. It is asking to include or discriminate different lineages. I am sure this is an addition here by those that manipulate humanity. If all human race originate from these three Sun systems, there are likely to be variations in races and it is trying with a destructive monarchy twist of hand to beckon you to discriminate between lineages this way. This discrimination suggestion perhaps showing the roots of manipulation of propogandas starting all the earliest manipulated wars. In summary one can see that the origin of this sacred feminine star map is not evil. Its earliest unaltered form is pure and a teaching mechanism of human star origins. But now its secrets are still in the hands of the powers that be in our world. It was no doubt their choice to alter it and demonise it with goat head and secret codes. It alters its symbolism into a destructive icon. It still appears commandeered by the world powers that be where they hide the human star origin secret. Its truth and union of humanity in peace is not in the best interests of profiteering from humanity if all humanity knew they were equal and sacred. In Freemasonry you work up a ladder of progress to the highest degree the 33 degree position. Is it a coincidence there is a codex of King solomon and his Temple explaining 33 degress of measurement to a star of the place of origin of beings that he was speaking to. In astronomy we use degrees of arc to measure between stars in degrees of arc in a hemisphere view of the stars above. Early astronomers used a large pair dividers on the star maps it seems measuring on a sacred time of Sol Invictus ref above the eastern horizon to find the position of a very tiny star. 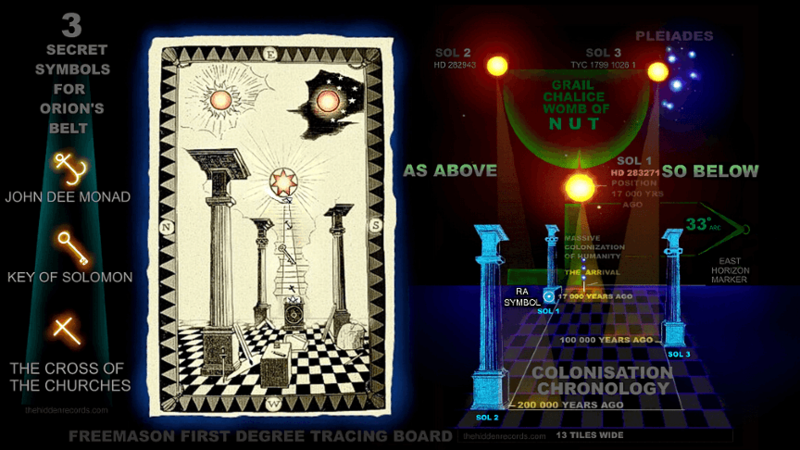 As you see in the top image of the page here, on the tracing board it uses a ladder with rungs as a cosmic measure of Jacobs Ladder to a blasing star and it is one in the tradition of the Solomon Temple. 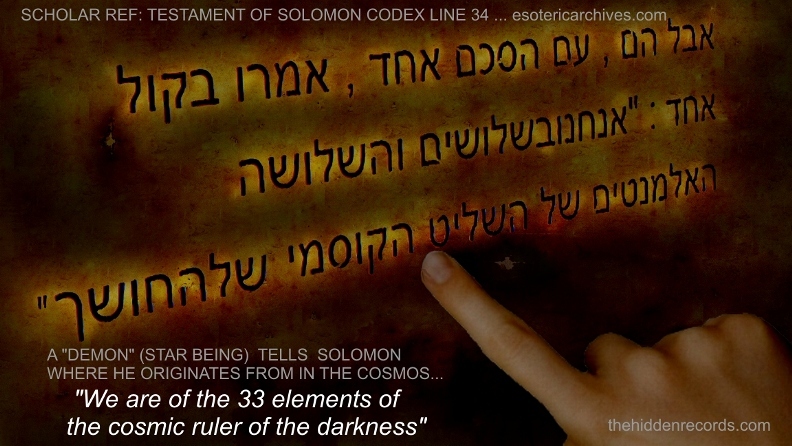 It is a codex from The Testament of Solomon where Solomon is speaking to a 'demon' or cosmic being. 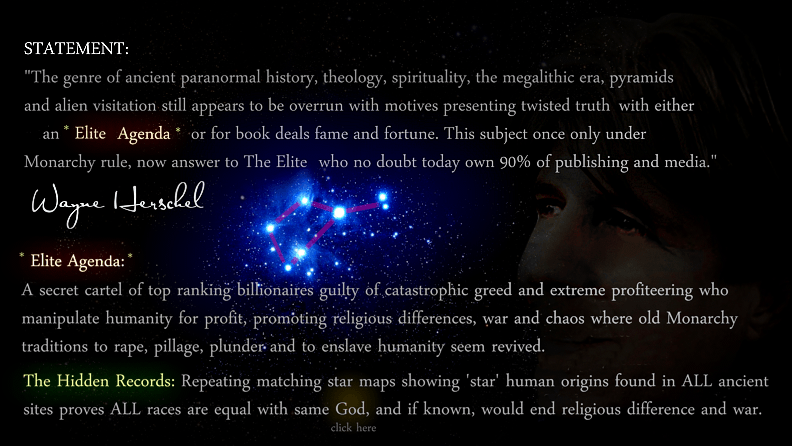 He asks where he originates from in the cosmos... click the image for the full story with the Solomon Key star map. The Templars valued the 'Sang Real' sacred angelic lineage secret of humanity that they celebrated in communion ritual using a gold chalice on Sol Invictus ref as Sol 1 rises above Orion's Belt on Eastern Horizon. It was this gnosis that led me to decode and find the very secret of the Holy Grail itself. Some say a Templar treasure from the recently decoded Oak Island star map ref was found around the time of George Washington and it funded the building of his city matching Oak Island and Jerusalem template. It has the same layout plan as Oak Island.